Can adolescents be depressed? Unfortunately, yes, and the number of depressed teens, especially female, is rising. 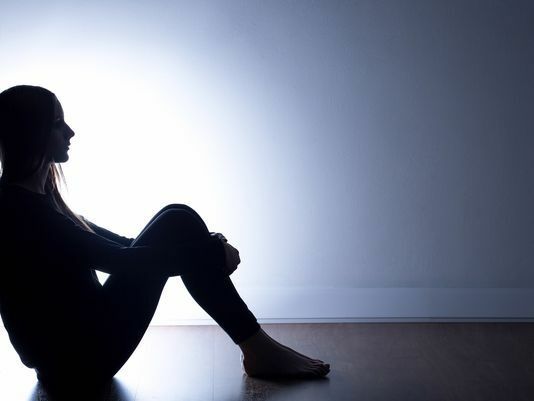 A recent study in the journal of Pediatrics found that between 2005 and 2014, the rates of depression increased significantly amongst teens in the United States: there are now over half a million more depressed adolescents than before. Interestingly, this study also found that many more adolescent girls in the U.S. are experiencing major depressive episodes at this age than boys. In fact, 85% of the adolescent population found to have depression is female. Women of all ages experience higher rates of depression in comparison to men, but the national average is 2:1, not 8:1 as in the adolescent population currently. Quite simply, the increase in adolescent depression rates, especially that of girls’, is directly related to the increase in adolescents’ dependence on social media. Postings on social media, whether through Facebook, SnapChat or Instagram, represent a manipulated version of someone’s life. The content that individuals share does not reflect their vulnerabilities, fears or ‘bad days.’ Often, viewers’ feelings of worthlessness and hopelessness are compounded and exacerbated after viewing others’ filtered posts. Teens are incredibly vulnerable to defining themselves in comparison to others, and social media messages are a minefield for just this. Almost all social media messages focus the viewer on looks, not gifts, intelligences or passions. When adolescents use social media as a means of communicating, they are more apt to base their identities on their social media accounts, and their emotions become more volatile based on how many likes, tags or friends they have. Adolescent girls are particularly susceptible to this and frequently feel that their “entire identify” relates to their phones. This, unfortunately, leads to increased instances of negative self-comparisons and increased frequency of cyber-bullying. Knowing all of this, what can adolescents, parents, schools and others do to help? To start, we need to bring more awareness to the issue. Parents need to work to create structure around technology and put into place best practices related to its use. For example, practice not checking your phone all evening while with other family members. Try setting a rule that does not permit phones in bedrooms at night and also ensure that there are no phones being used at the table when a family meal is occurring. Next, we need to start a cultural discussion about the impact social media has on our feelings towards ourselves. We need to bring awareness to the feeling of being compared to others and the urge to check our phone. What would it be like to have an open discussion about how FOMO (Fear Of Missing Out) and checking Instrgram are so closely related? What would it be like for both mom and daughter to realize that they share similar feelings and process that together? Lastly, many schools are now offering courses in mindfulness. These courses are meant to facilitate students’ learning ‘pay attention’ to their needs and reactions by focusing on one’s internal feelings, thoughts and physical sensations. Mindfulness can offer measurable health benefits and decrease rates of depression. If adolescents (and adults!) can become more aware of their urge to check their phones, then they can have the space to make the decision to not engage in social media at a given time. The more conscious the process becomes, the less direct the link is between social media and one’s emotions. As a result, it is strongly believed that rates of adolescent depression might decrease to be more in line with national averages. As technological advances are made, we as a culture need to develop our own ways of interacting with that technology. As a culture, and for women specifically, we need to begin to address social media use and the role it plays in our lives, especially pertaining to how many increased comparisons and media messages are occurring in our daily lives. To learn more about this topic, watch Rebecca’s segment on the Charlotte Today Show here.